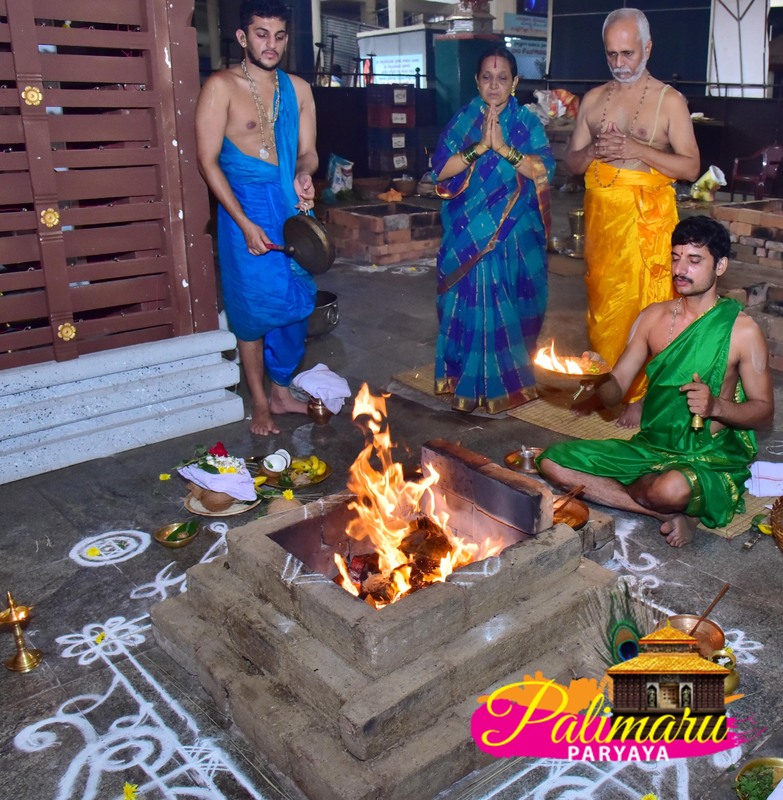 Under the aegis of paryaya Palimaru Matha, in collaboration with Shri Raghavendra Saptaha Organizing Committee, Mantralaya, in commemoration of the vedanta samrajya pattabhishekha and Vardhanti Utsava of Shri Raghavendra Gurusarvabhauma, Shri Raghavendra Saptaha Mahotsava was conducted from 7.3.2019 to 13.3.2019. This is the 26th year program by Shri Raghavendra Saptaha Karyacharana Samiti. As a part of the saptaha, discourses and other cultural events were held every day through the week at the rajangana of Shri Krishna Matha. On the final day, His Holiness Sri Eeshapriya Teertha Swamiji performed Sahasra Kalasha Ksheerabhisheka to Sri Rayara Mruttika Vrindavana. It was followed by a glorious pushpabhisheka of Sri Rayaru performed by His Holiness Sri Vidyavallabha Teertha Swamiji of Sri Kaniyooru Matha. 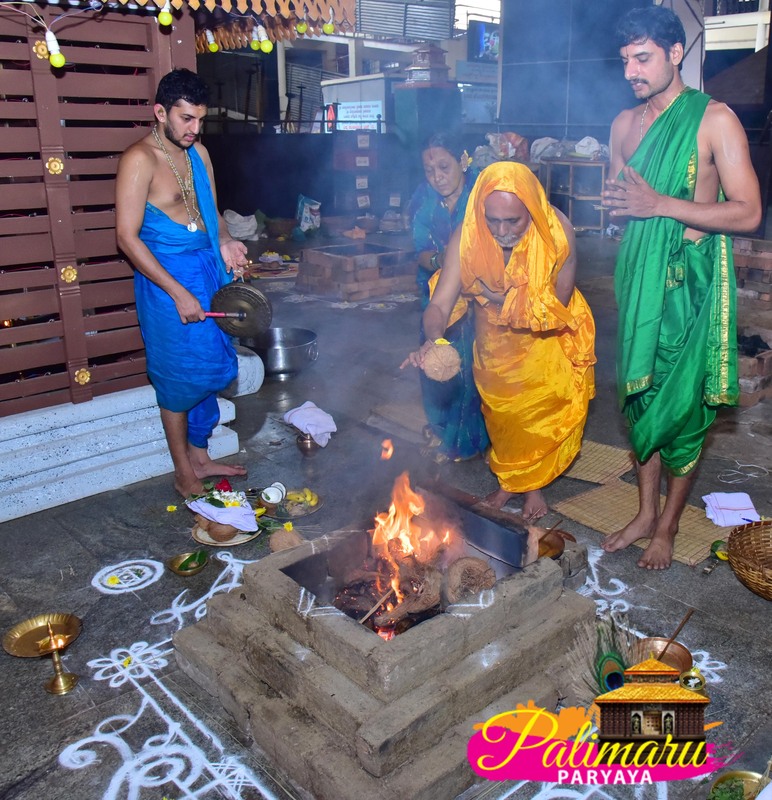 At the yagashala “Shri Raghavendra Svahakara” mantra homa was performed. In remembrance of the composer of Shri Rama Sandesha – Mangalashtaka and other compositions that upheld his erudition, author of several treatises and a distinguished seer, Rajarajeshwara Teertha, every year, Shri Palimaru Matha confers the “Shri Rajarajeshwara” award upon a spiritual achiever. Vidwan Archaka Parimalacharya who had been organizing Shri Raghavendra Saptaha since 25 years at several places across the country was conferred this award this year. His Holiness Vidyadeesha Teertha of paryaya Palimaru. His Holiness honored and graced the recipient. The junior seer of Adamaru Matha, His Holiness Eeshapriya Teertha was also present during the occasion and rendered his benediction.